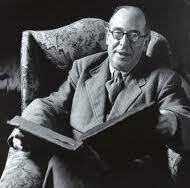 Meditations with C. S. Lewis: A More Clever Devil…. Alright, so the above is actually one of the false Lewis quotes that is circulating the internet. Yes, I got caught by it. I pulled it from a list of Lewis quotes when I was trying to get ahead of the curve on these posts. I do think it more or less sums up Lewis’s sentiments, though, so please take the below for what its worth. If the quote is false, perhaps there is some truth in what I have to say about it…. To follow up on last week’s meditation on the more famous passage from The Abolition of Man, this week we have a point of explanation. As a result of the world’s “values-free” philosophy, education often does more harm than it does good. * It makes us more intelligent sinners, and while it might delay the price for our sins, it virtually insures that we will one day pay dearly for them. As I have mentioned before, anyone with an ounce of real historical knowledge should have no illusions about humanity’s ultimate tendencies. History is littered with the bodies of millions–perhaps billions–of victims who fell prey to our bent towards evil and selfishness. Millions more have suffered to the point that one of the most common charges against God’s existence** is the reality of evil, much of which has it’s origins in the human mind. Hence, the education of children has always needed to be two pronged: internal and external. In the former, the child is taught how to defend against his or her own nature. They develop the ability to resist the temptation to selfishness, laziness, and downright evil. In the latter they are given the skills they need to interact with the outside world–with colleagues, employers, and jobs. When you teach only the latter–as we tend to do today–you often by default simply teach a person how to justify and gratify their selfish tendencies and to prolong them as long as possible. They are given no defenses against themselves. Human nature then runs amok and is in fact further enabled to do, ultimately, more damage to the individual and the society as a whole. *This observation is neither an argument for avoid school nor a justification for anti-intellectualism. It is an imperative to do education right. **I do find it ironic how many atheists will toss this argument up against a good God’s existence with complete abandon, and then immediately offer up humanity–the most observable of the sources of evil–for worship in His place.